The one-bid conference tournaments are well underway, and many more of them (with brackets now set) will run their course this weekend. However, the power-conference tournaments have arrived. They’ll represent the featured attractions in college basketball near the end of the week. Human beings have been known to harbor secret crushes or hold forbidden thoughts deep inside themselves. Giving expression to these dark or taboo dimensions of personal identity is frowned upon in our culture. In college basketball, it’s blasphemy — burn-at-the-stake-level sacrilege — to say that anything other than the NCAA tournament is the best part of the calendar. The Thursday and Friday of power-conference tournament week — the back end of Championship Fortnight — just might be better than the NCAAs. There. I said it. I feel as though I betrayed a faithful companion of many years, but the Thursday and Friday of this week are so thoroughly seductive. You don’t have to agree — you won’t get an argument from me if you say the Dance is better — but you should consider the point: On Thursday and Friday of the week before the NCAA tournament, a far larger number of games covers the television schedule. Not all of them matter in terms of the bubble, but several do. Many other games are relevant for seeding, and several other games represent a team’s last remaining chance to make the field of 68 as an autobid winner. Moreover, conference rivalries create a delicious and tense backyard familiarity in these games. This year, you might get a North Carolina-Duke ACC Tournament semifinal, and you will get an Oklahoma-Iowa State Big 12 quarterfinal. That’s a possible 1 seed, likely a 2, in the NCAA tournament, against a 5… in a conference tournament quarterfinal. The NCAA tournament speaks for itself, but the Thursday and Friday of this week are two of the most underrated days in American sports. Of the tournaments that are about to begin, here are the top five choices. Later on, we’ll explain why some power conferences didn’t make the cut. The American — or AAC, if you prefer — doesn’t have a single heavyweight team. SMU is the best team in the league this season, but the Mustangs are ineligible for the postseason. Cincinnati appears to be in the best shape of any at-large contender, following its huge win over SMU on Sunday. This is not a tournament you’ll watch for big-name players or star power. It’s a tournament made for the bubble and the drama it brings. Temple, the 1 seed, is not a lock for the Dance if it loses in this tournament. The Owls and third-seeded Tulsa both need to make the final if they want to receive extended at-large consideration. Naturally, though, if they make the final, winning it would remove all anxiety from Selection Sunday. The biggest quarterfinal is the 4-5 matchup between Cincinnati and Connecticut. A win for either team would very likely result in an NCAA tournament bid. Both teams could potentially survive a loss, but they don’t want to take that risk. Assuming Temple gets through its quarterfinal, the semifinal between the Owls and the Cincy-UConn winner would be an important clash in which the 4-5 winner would actually have better bubble odds than the top seed. If either Cincinnati or UConn makes the final, that team is a lock — it would not have to win the final. The fly in the ointment: Houston is the No. 2 seed, playing better than anyone else in the league at the moment. The Cougars aren’t close to the bubble, but they could swipe the automatic bid and complicate the bubble for other teams across the country. Plenty of subplots exist in this tournament… just not box-office personalities or schools. The bundle of bubble trouble which exists in The American can also be found in the Atlantic 10. VCU, Saint Bonaventure, and George Washington are all very close to the cut line. Saint Joseph’s is likely in, but not fully. The Hawks are in better shape than other bubble teams, but they’ve failed to make themselves a lock, due to a horrible home-court loss to Duquesne on Saturday. Saint Joe’s would become a lock if it beats George Washington in a potential quarterfinal. George Washington has to make that quarterfinal first, and then beat Saint Joseph’s just to stay alive. The Colonials would give themselves a good shot at an at-large bid if they can make the final by beating top-seeded Dayton. VCU and St. Bonaventure must win their quarterfinals. Those are non-negotiable games for the Rams and Bonnies. Making the A-10 final would greatly increase their odds of an at-large selection. Much like The American, though, teams which make the final of this tournament would not be absolute locks (except for Saint Joe’s). The A-10 bubble is that fragile… which is great for viewers who want some suspense. The Big 12 is an exception to this list, in that it’s not a tournament to watch for the bubble. There are no bubble teams in the Big 12. Texas Tech is firmly in, having beaten Kansas State on Saturday. This is a tournament worth watching because the Big 12 is, once again, the deepest conference in the country. The league struggles in March, but it is a cutthroat place in the middle of winter. Oklahoma-Iowa State is a quarterfinal. The winner of that game plays, in all likelihood, West Virginia in the semifinals. Kansas would play Texas or Baylor in the semis. You simply won’t see mediocre teams in this tournament after the first round. Moreover, what you’ll miss in terms of bubble drama, you’ll make up for in terms of the race for seeds. West Virginia is playing for a 2 seed at this tournament. That’s how high the Mountaineers can climb if they win it, though they would need to play (and beat) OU in the semis and Kansas in the final. Oklahoma could snag the 1 seed in the West Region if it wins this tournament. Those are not minor plot points. 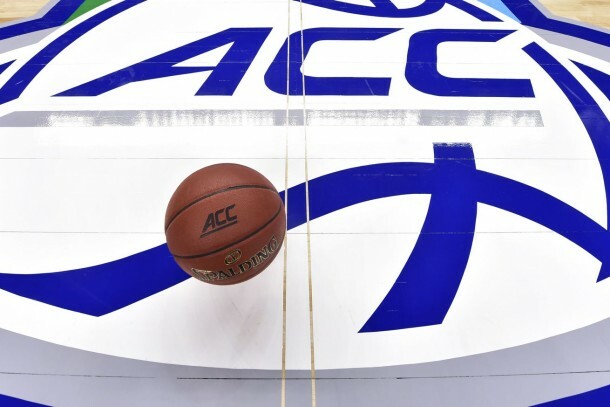 The ACC Tournament is the crown jewel of conference tournaments, the most prestigious and influential one of all. The Big Ten didn’t have a conference tournament until 1998. The SEC Tournament has been the “Kentucky Invitational” for most of its history. The Big 12 used to be the Big Eight, eroding a brand-name history. The Pac-12 didn’t have a tournament until 1987, and the league discontinued the event after only four years, resuming it in 2002. This year’s tournament should crackle as much as past editions. Bubble trouble lurks for the loser of the 8-9 game between Pittsburgh and Syracuse, though both teams could very well make the field. Florida State must win three games and make the semifinals if it wants a decent at-large chance. Georgia Tech could give the NCAA Division I Men’s Basketball Committee a headache if it can win three times and make the final. The Yellow Jackets would merit serious consideration if they’re able to pull off that feat. After the bubble battles end, the high-end clashes begin. North Carolina, the 1 seed, could play fifth-seeded Duke in the semifinals if the Blue Devils can beat No. 4 Notre Dame in the quarters. Second-seeded Virginia and third-seeded Miami played a terrific game a few weeks ago. A semifinal rematch would be tasty. North Carolina and Virginia are playing for No. 1 seeds in the NCAA tournament. Miami is playing for a 2 seed. Duke is playing to get a 4 seed. Should the Blue Devils lose early, they might fall to the 5 line on Selection Sunday. Any combination of Duke, UNC, Virginia, and Miami would create a fascinating final. The Big Ten makes the cut here because of the announcers. Bill Raftery will be on the call for this tournament, as part of CBS’s crew with Jim Nantz and Grant Hill. Raftery will join his partners for the semifinals and final, which is enough to elevate this league tournament over others which aren’t on the list. Michigan State is clearly the best team in the league, though a January swoon enabled Indiana to win the outright league championship. Tom Crean did a stellar job with the Hoosiers after a rough November. A final between the two teams would be attractive, and Michigan State could potentially get the No. 1 seed in the West Region. That’s the top-end source of intrigue in this event. Also of note: Wisconsin is playing its first pre-quarterfinal Big Ten Tournament game since the year 2000. No joke: The Badgers have had a bye into the quarterfinals for the past 15 years. They finished in the top four of the Big Ten for the past 14 years… they’re the sixth seed in 2016. As for the bubble, there’s really only one true bubble team: Michigan, which must win once (against Northwestern) just to stay in the hunt, and could face the need to win twice to secure an at-large bid. It will be a long wait for Michigan on Selection Sunday if it can’t beat Indiana in the quarterfinals. The Wolverines would be at the mercy of how the rest of the bubble plays… and whether the committee includes Wichita State or not. Ohio State is, at best, a fringe bubble team. Unless the Buckeyes make the final, they’re not going to be seriously considered — not with their bundle of bad non-conference losses. The SEC has just one bubble team, and as long as Vanderbilt avoids a first-game catastrophe against the winner of a 12-versus-13-seed play-in game (Tennessee-Auburn), it will probably be fine. A win over LSU will seal a bid for VU. Other than that, no bubble dramas exist, and at the top of the league, no team will get anything higher than a 4 seed. That’s a ho-hum power-conference tournament. The Pac-12 has a better pair of top teams than the SEC (Oregon, then Utah), but there’s only one bubble team, Oregon State, which must win one game (Arizona State) and might need to win two to make the Dance. Arizona is not a great team this year, and UCLA is a total mess. Will you want to drop everything on your Friday night to watch (3) California and (2) Utah in the late-night (11:30 Eastern) second semifinal? The Big East Tournament is, as said above, not what it once was. A Villanova-Xavier final will be a big draw, but the rest of the league has failed to move the needle this season. Moreover, the bubble is empty. Teams have either played their way in (Providence, Seton Hall, Butler) or out (Creighton). Enjoy the most underrated part of March Madness. This Thursday and Friday should wear out your remote control and your Twitter timeline.